Combined, the new iPhone XR, XS, and XS Max are the largest suite of iPhones that Apple has ever released at once time. 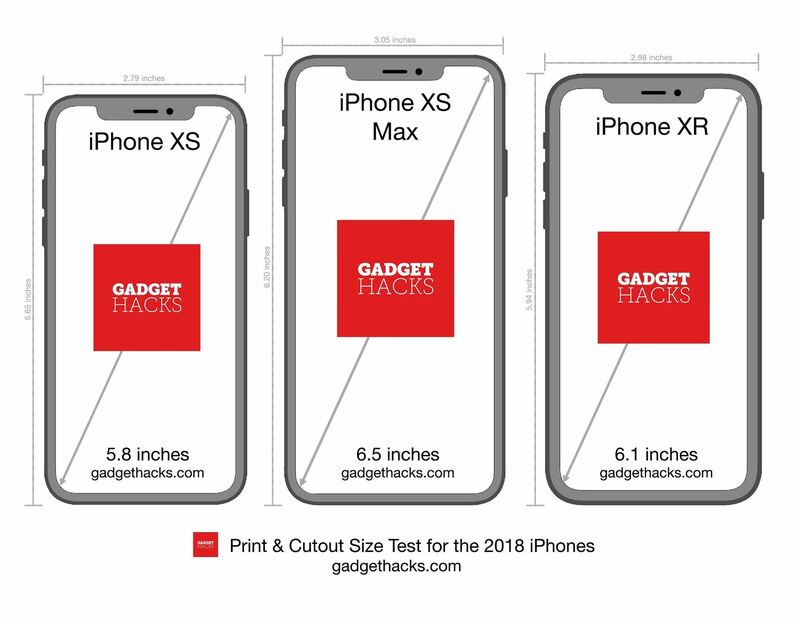 While the XS remains the same size as last year's iPhone X, the XR and XS Max are even larger. But which size is right for you? We can help you decide which will fit your hand best with printable cutouts to compare the sizes of Apple's latest and greatest. We know, paper cutouts aren't going to match the real deal. Nothing can be better than making the trek to your local Apple Store to really get a feel for the XR, XS, and XS Max. However, you won't be able to do that anyway if you're preordering since two of the devices won't even land in stores until Sept. 21 while the XR won't be able to touch until Oct. 26. Even if Apple does have some XR, XS, and XS Max demos available in stores before preorders open up, if you don't live anywhere near one of these stores or just can't bring yourself to leave the house, our printout will give you a sense for how you'd like each of the device's sizes so you know which one to order online. Caption: This image is not scaled. Please download the PDF file for real-life sizes. Make sure to print this PDF without any borders or scaling, using a standard letter-sized piece of paper. You should print at 100 percent and, if done right, your cutouts should be as accurate to the XR, XS, and XS Max as you're going to get. Feel free to use a ruler after printing to verify that the dimensions provided on the PDF are accurate for height and width. Try all three out by pretending to text, acting like you're calling a friend, placing them in your pocket or purse — anything you can think to do to get a sense for how the actual iPhones will work for you. If you want to go even further, you can visualize the depth of the device by cutting a thin sheet of cardboard measuring either 0.30 or 0.33 inches, depending on the iPhone you're trying to emulate, and pasting it to your cutout.